eventual winners are the content creators with the deepest pockets. The idea that “great content rises to the top” is over. We are in an era where advertising, promotion, and distribution strategies may eclipse the importance of the content itself. The companies that can overwhelm the market with content can effectively raise the entry hurdles for competitors and maybe even block them out of key search results entirely. 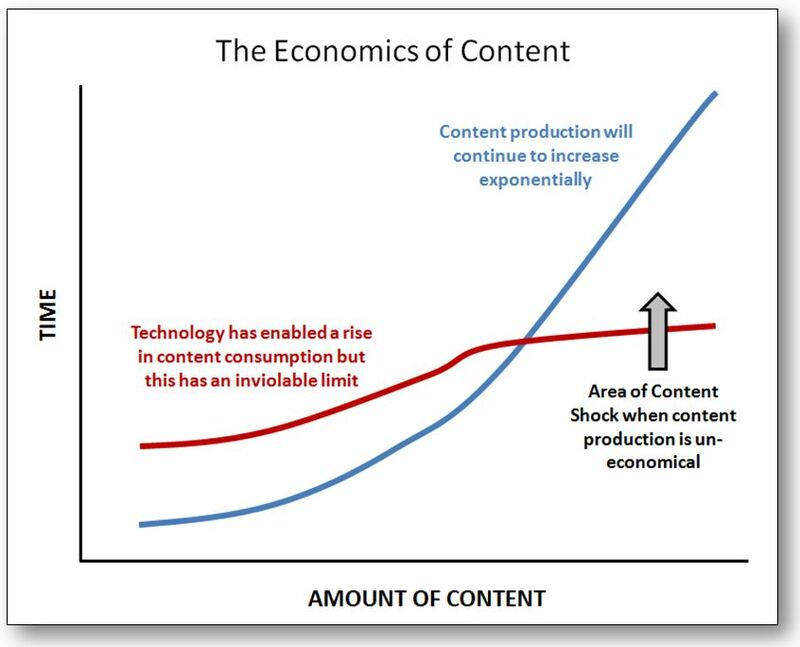 Finally, the economics created by Content Shock will eventually force many content marketers to adjust their priorities and tactics. Copyright © Conty inc. All rights reserved.